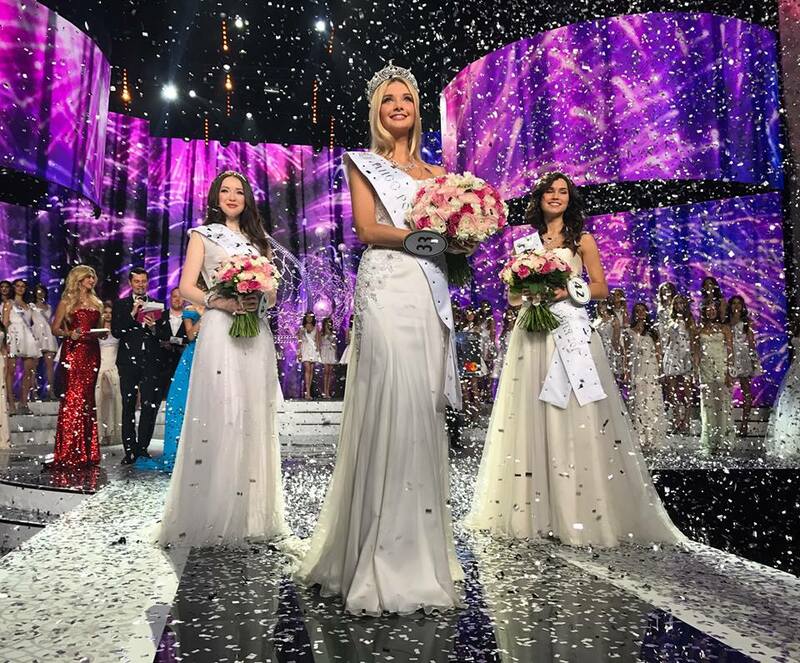 The 25th edition of Miss Russia pageant held in the concert hall Barvikha Luxury Village in Moscow on 15 April 2017 was won by Polina Popova of Sverdlovsk Oblast. Polina was a crowned Miss Russia 2017 among fifty contestants from around Russia competing for the crown. Yana Dobrovolskaya of Tyumen crowned her successor Polina at the end of the event. 21 years old Polina enjoys playing tennis and cooking, and studies Chinese. She mentioned Gone with the Wind by Margaret Mitchell as her favourtie book. Being a winner of the coveted crown – white gold, decorated with diamonds and pearls, she receives a prize of 3 million rubles , a car and an opportunity to represent Russia at the Miss World and Miss Universe competitions. Ksenia Alexandrova of Moscow was ceclared first runner-up and Albina Akhtyamova of Bashkortostan – second runner-up. The pageant was hosted by Miss Russia 2003 Victoria Lopyreva and Maxim Privalov, and featured guest performances from Elka, Stas Piekha, Nyusha, Ani Lorak, and Dmitry Malikov.